The things I love: my family, my friends, living in Vancouver, real estate (buying, selling, home staging and interior design) and my career. My inspiration comes from many avenues: fashion, nature, art and the beauty that surrounds us on a daily basis. I am so fortunate to share my day with my fabulous team of designers who never cease to amaze me with their talent. We share the same philosophy of creating an environment that WOWs. My experience in visual presentation, merchandising and store design created a natural beginning to my current Flüff world. Ten years ago the term “home staging” wasn’t in the general public’s vocabulary and preparing your home for the market was unheard of. Today it is common practice to have your home staged before listing it. 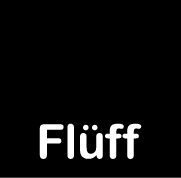 Often there is a need for contemporary furniture to enhance a space, and that’s how Flüff Designs came to be. After 4 expansions the 40,000 square foot warehouse is now home to a vast selection of furniture, art and accessories to assist home owners, realtors, photographers, film industry professionals, and anyone who needs to rent contemporary home furnishings. Flüff for Keeps came from our clients’ desire to have their home acquire a “Flüff” look. We have furniture, art and accessories for sale and our team of designers will happily help you pull the look together. Working as a stager, I found that the quickest and easiest way to change a look was to add decorative pillows. Sourcing exactly what I wanted was a challenge, so Bandit Designs was created. Each season we put together a new collection of pillows to work with our rental inventory. We love choosing trendy patterns and colours to compliment our designs and add that special something to a project. Our family has always enjoyed an outdoor lifestyle and we have been blessed to live in such an incredible place. Between our city and mountain homes we, including our kids and now grandkids, have spent many happy days enjoying what British Columbia has to offer. When we aren’t enjoying our homes in Whistler and Vancouver, we offer them for visitors to rent. It is important to continue to learn and grow as designers and humans, so I developed the Studio @ Flüff to have a place to nurture my design team and staging community. For 10 years we hosted Breakfast Meetings with local stagers and designers as a place to talk about “Home Staging” and the challenges and rewards of this new type of business. We grew into a thriving business community, hosting workshops on business, design and all things in-between. We have come a long way in our industry and I am proud of the community I helped build in Vancouver. 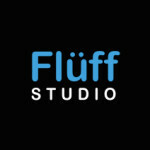 These days the Studio @ Flüff helps all matter of new business women find their way. An office space for rent, help with marketing, we love being a part of new exciting projects. It could be a Yoga class or a formal workshop, The Studio is fluid and always evolving, but it is consistently a place of learning, understanding and community.